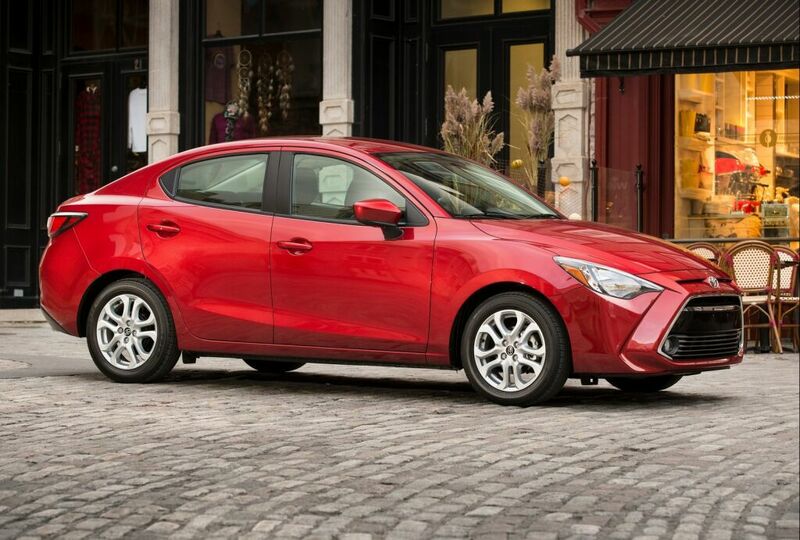 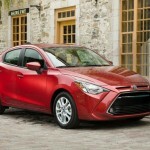 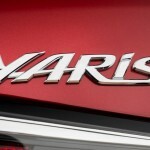 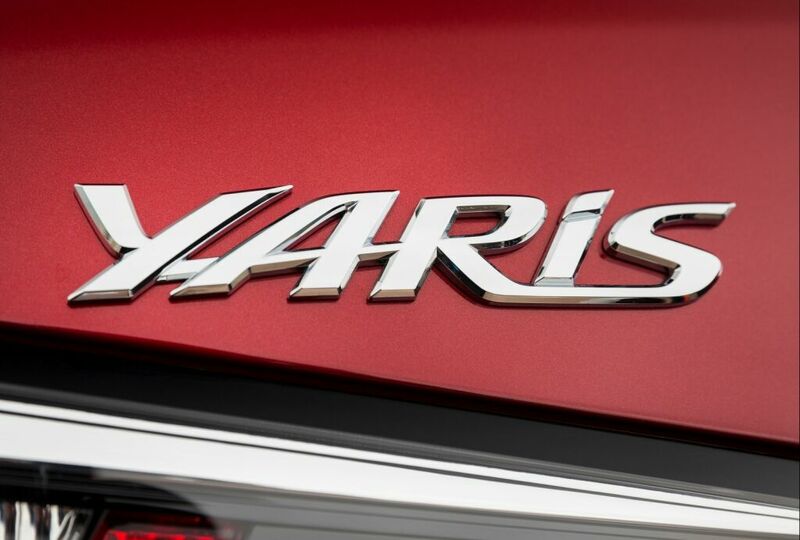 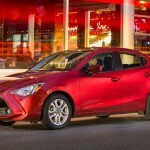 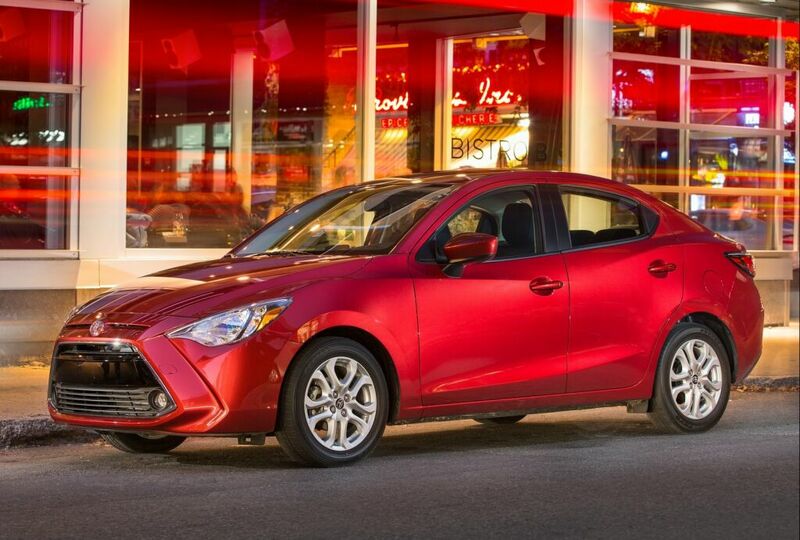 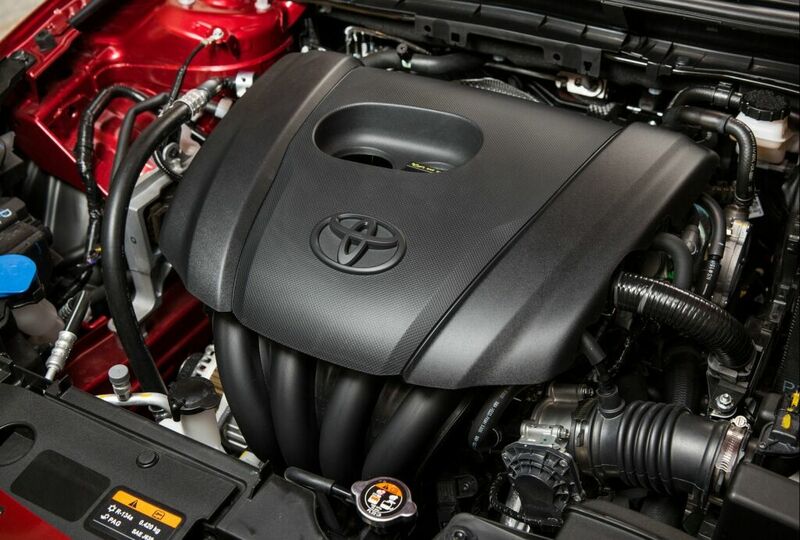 The 2016 Toyota Yaris Sedan is not like anything you’ve ever associated a subcompact with. 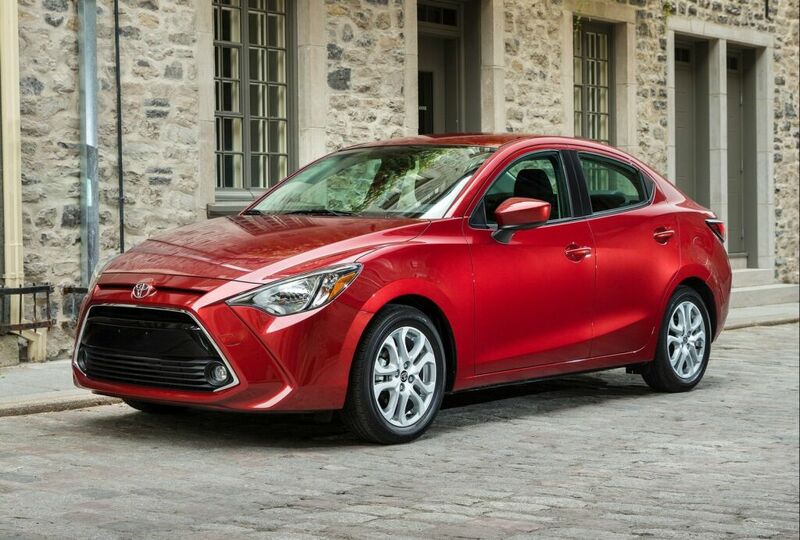 It’s equipped with premium features and aggressively styled. 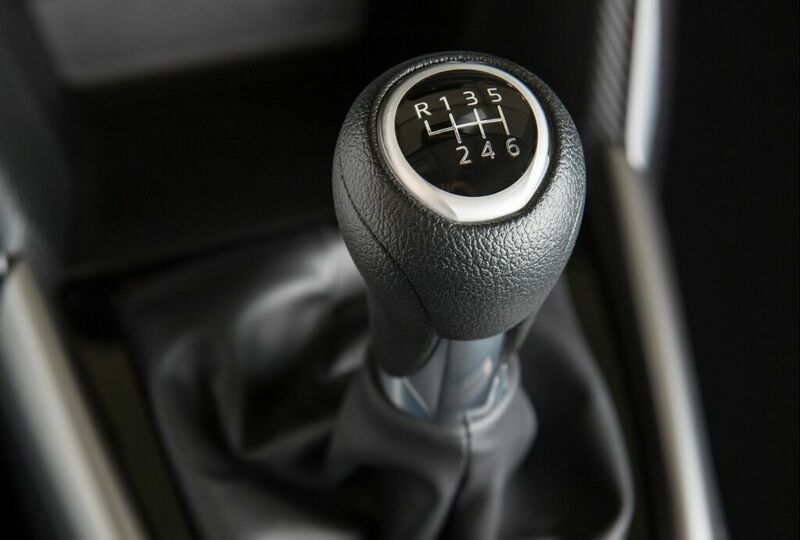 It’s tuned for dynamic handling and high driving fun. 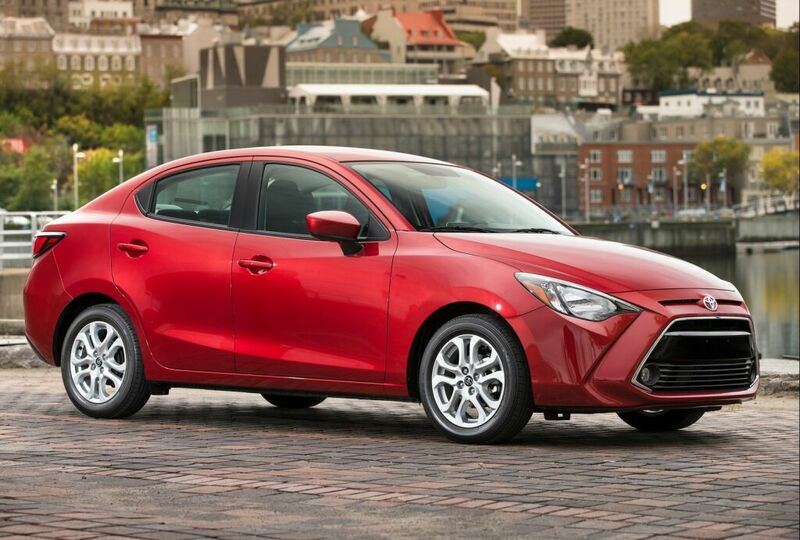 It has been built to surprise drivers with premium details and unexpected driving fun whether running duties in the downtown core or taking a day trip on an open road. 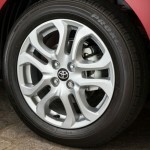 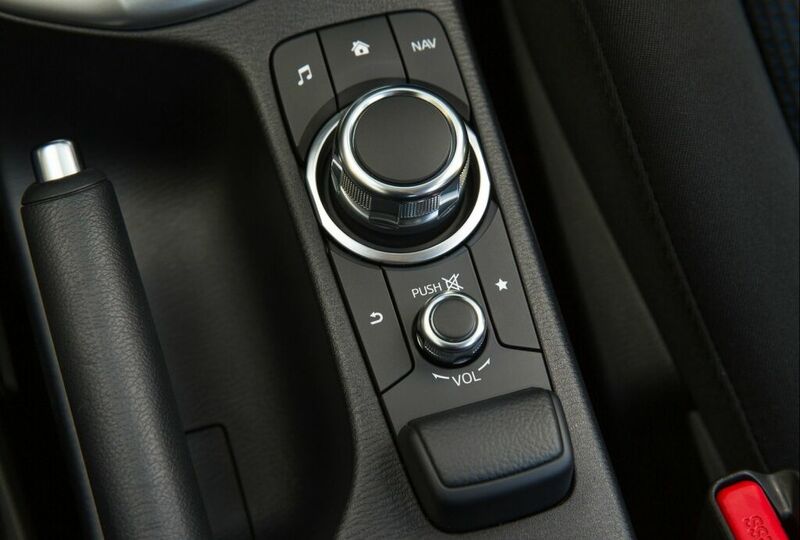 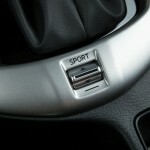 It features a short stroke six-speed manual transmission for quick shifting. 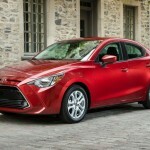 It has a fuel efficiency rating of 6.7 L per 100 and city or highway combined. 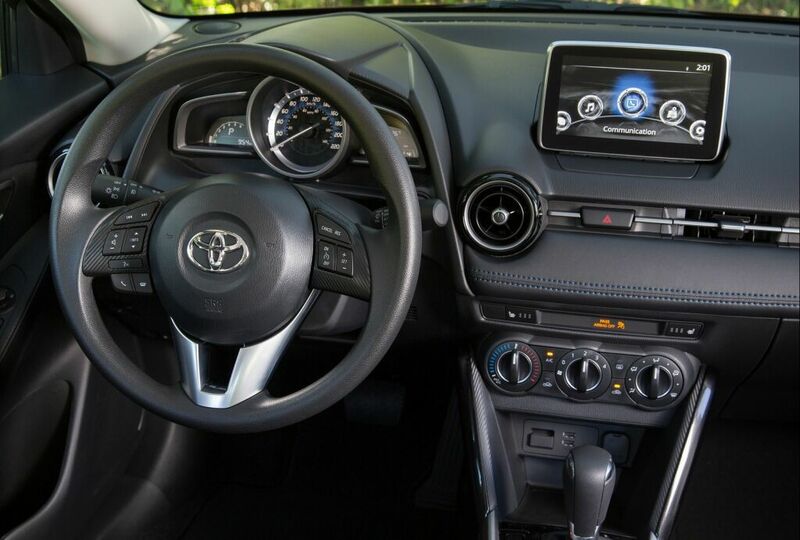 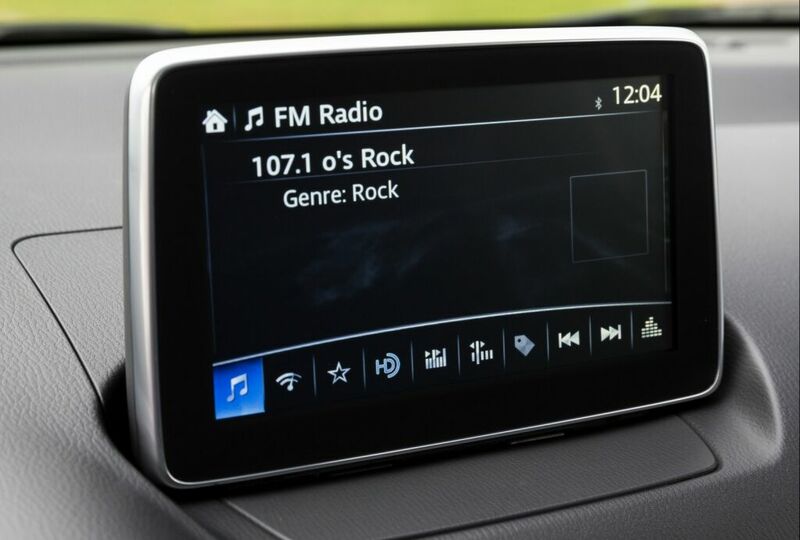 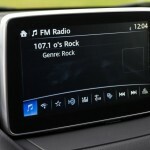 It has a display audio system with seven inches screen, six speakers, two USB ports, aluminum alloy wheel, heated front seats, fog lamps and a backup camera. 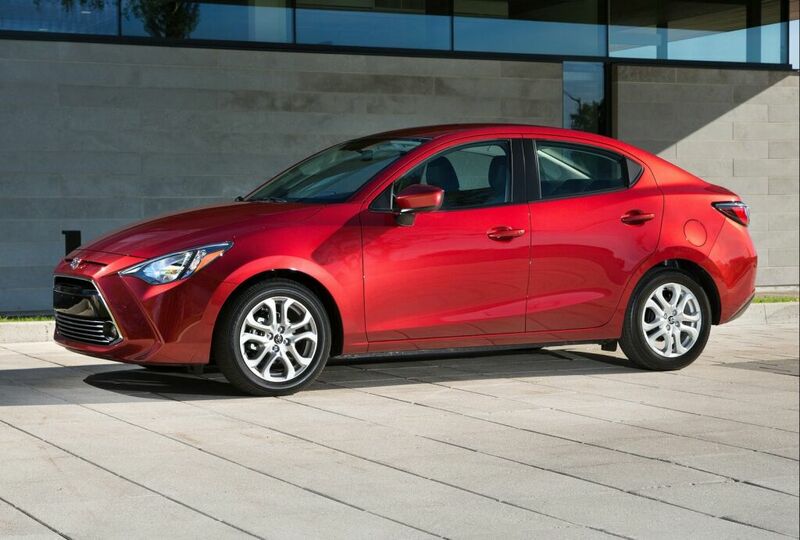 At the upfront of this model, features sharp-eyed headlights and a hexagon lower grille while its spacious trunk provides the rear a distinctive look. 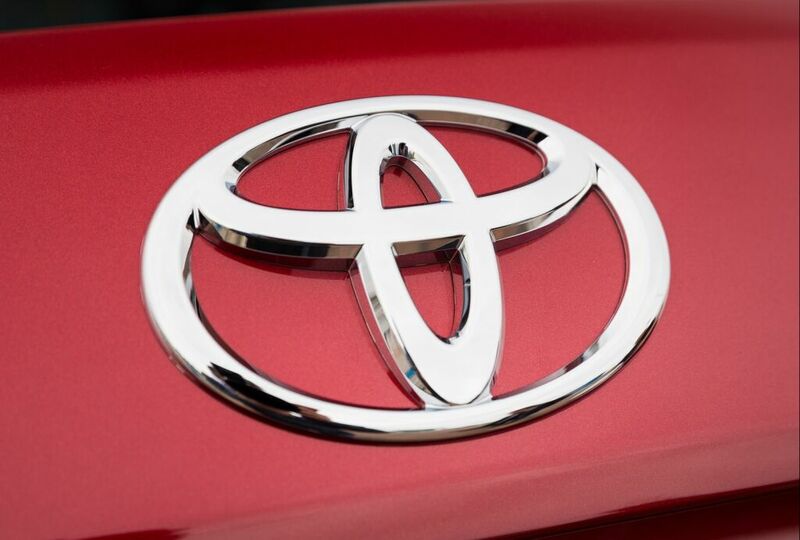 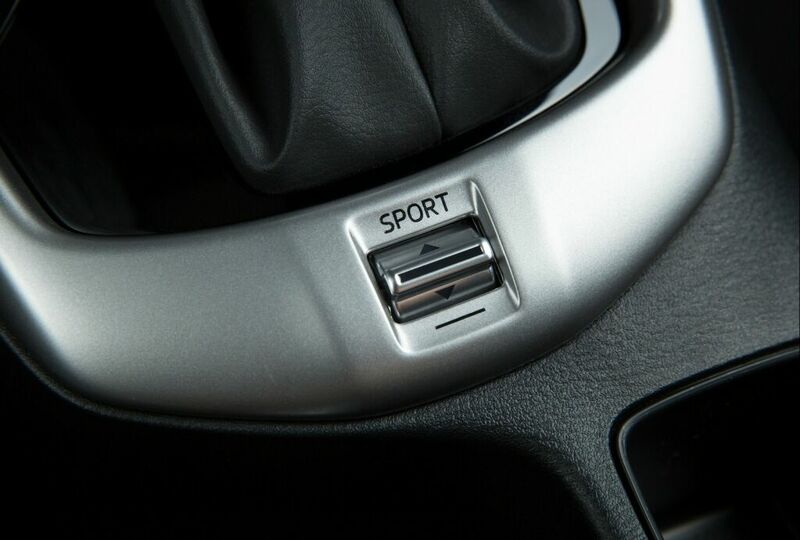 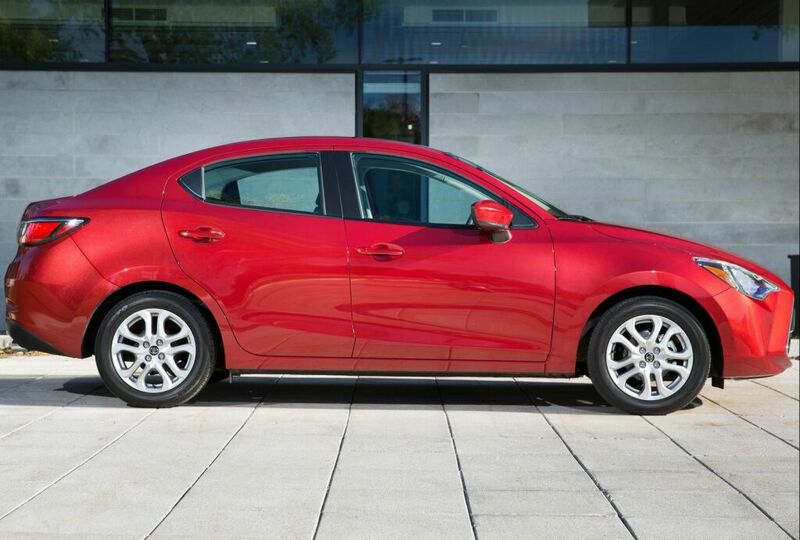 To the power adjustable heated exterior mirrors and the keyless entry that comes standard on all models. 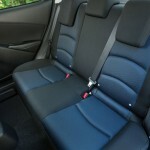 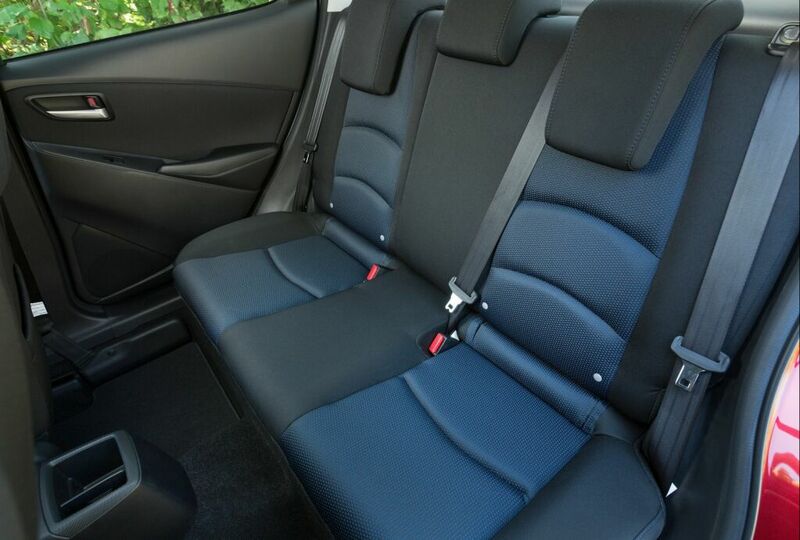 It is equipped with a split folding back seat. 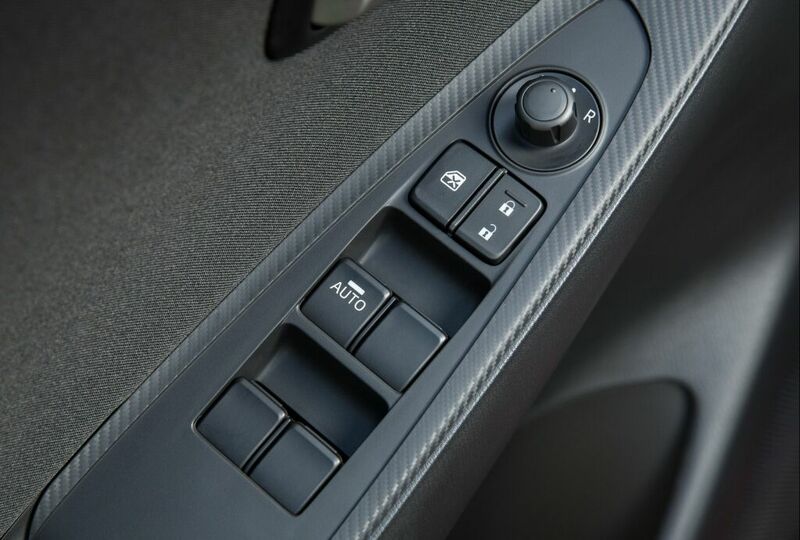 It also has a low-speed pre-collision safety system and a push-button start. 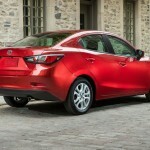 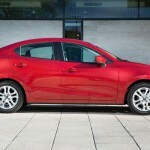 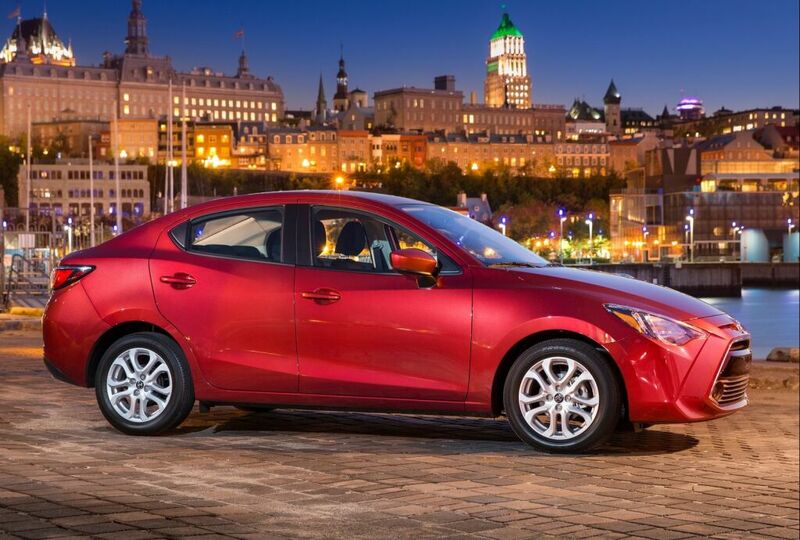 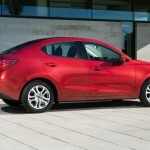 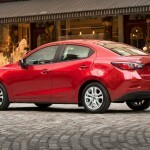 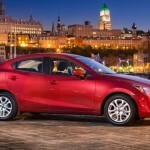 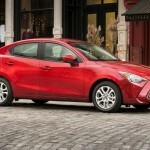 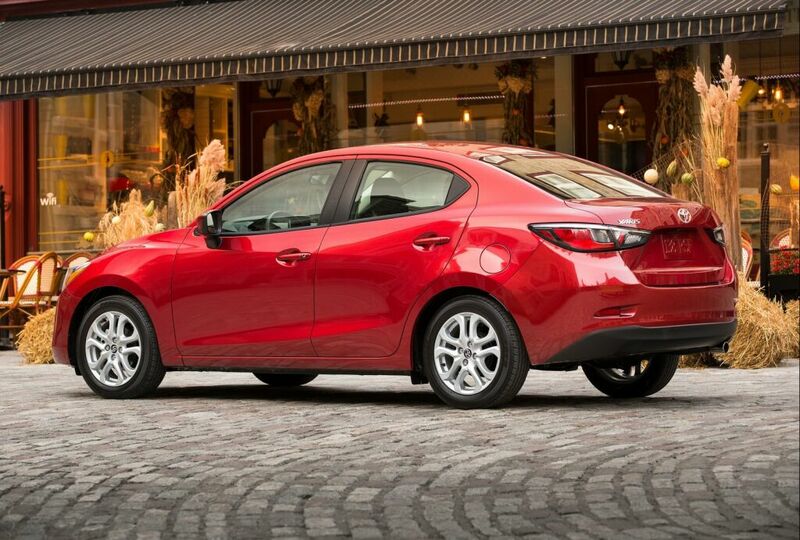 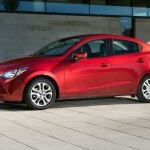 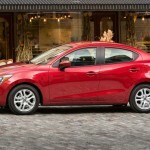 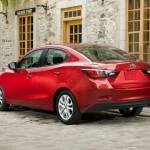 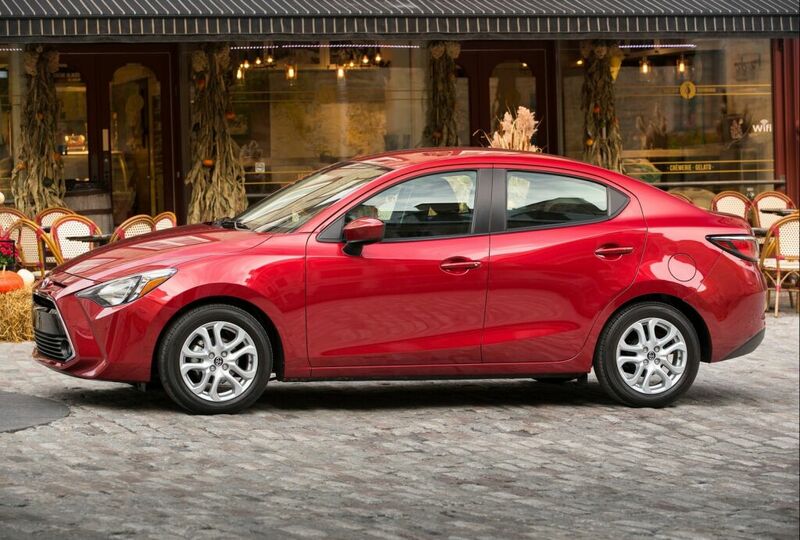 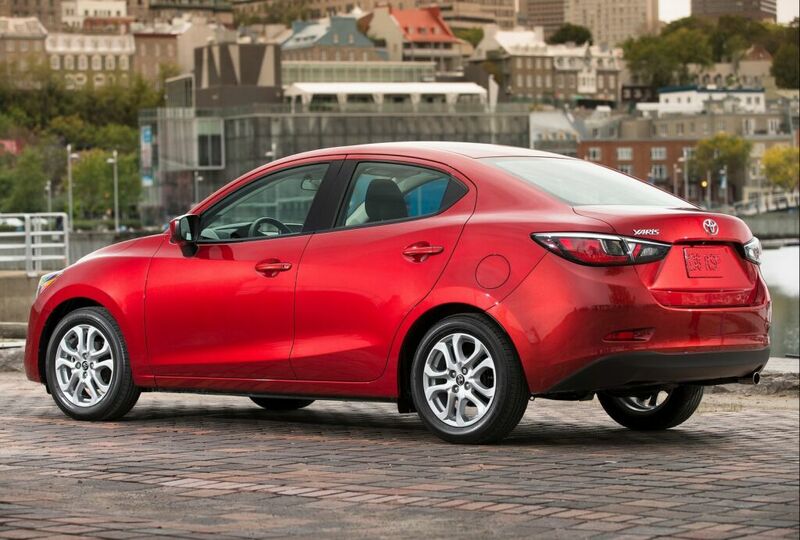 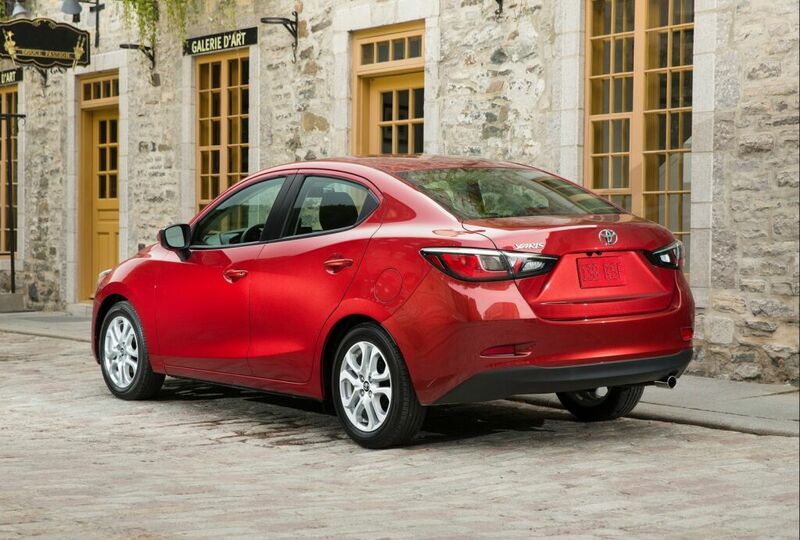 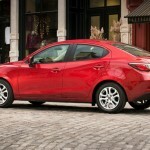 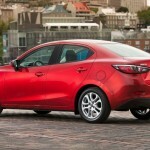 It comes fitted with the Mazda2’s engine and 1.5L four cylinder unit capable of producing 106 hp. 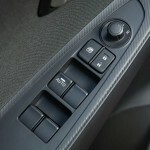 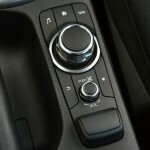 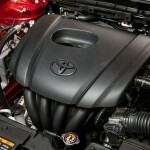 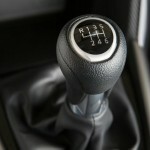 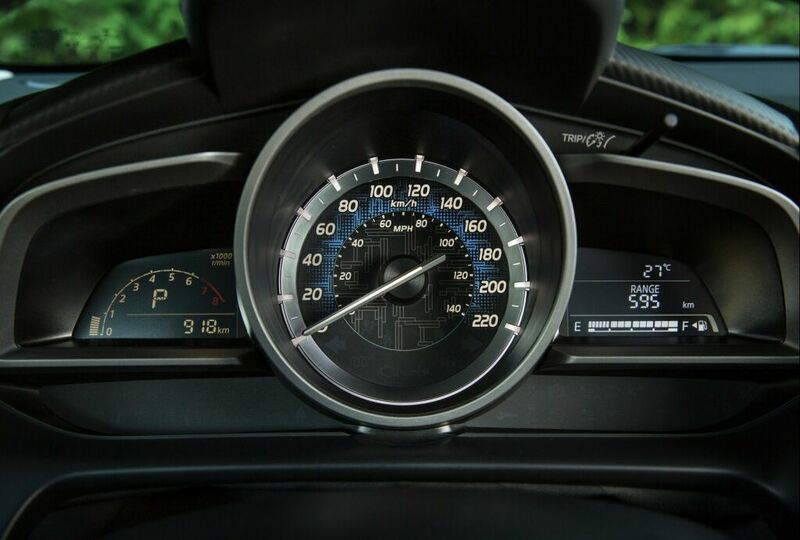 The engine will be mated with either six-speed automatic or six-speed manual transmission. 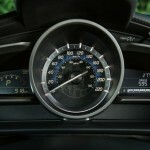 This kind of fuel consumption will be good enough to put the 2016 Toyota Yaris Sedan in front of the base of the class. 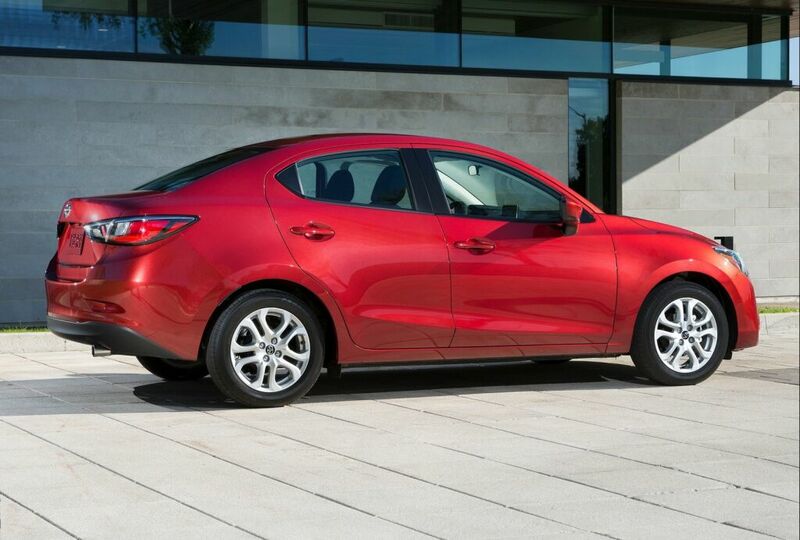 The rigid body structure is enhanced with rear and front suspension tuned to strike a balance between ride comfort and sporty handling. 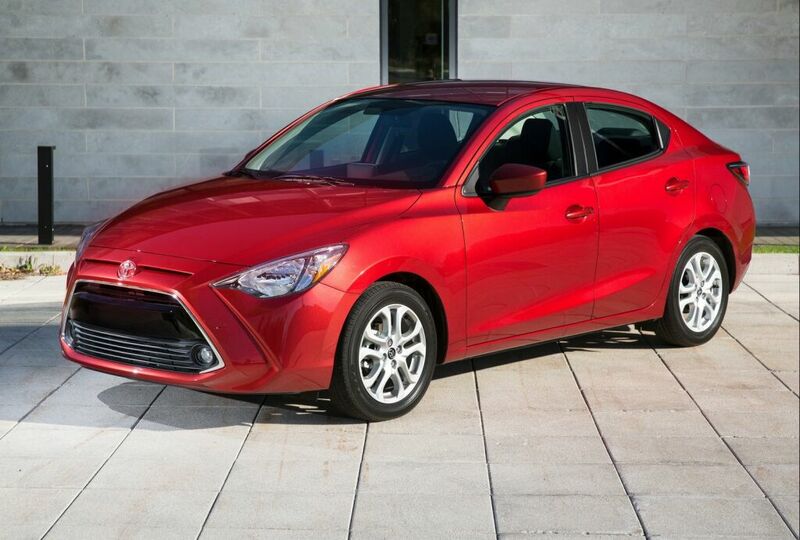 This model is efficient, and it has a lively performance of subcompacts, above all, it gives drivers much more of what they love. 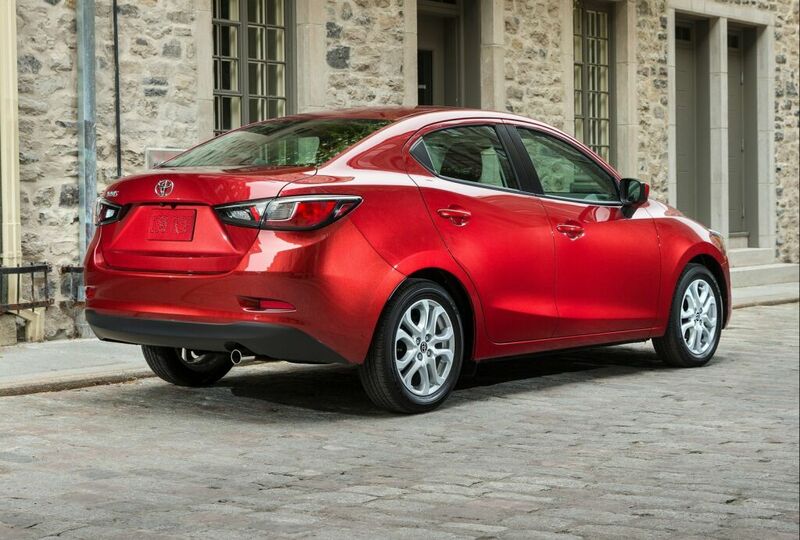 Its steering is super sharp, Braking is good, and the suspension firmly hugs the road. 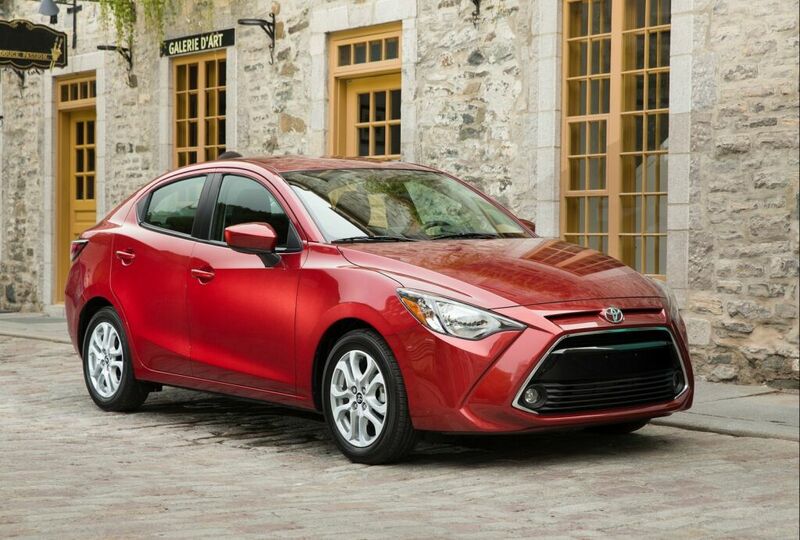 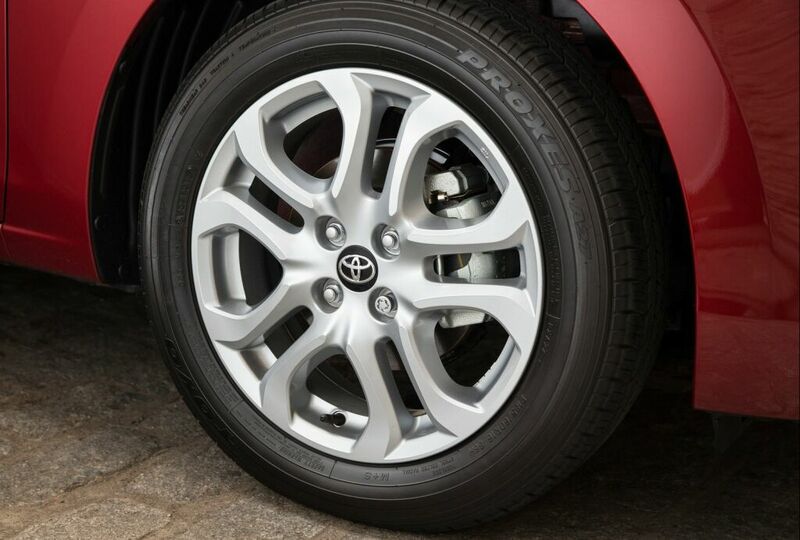 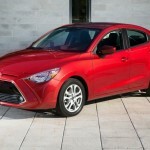 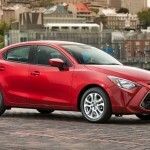 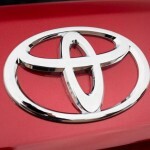 2016 Toyota Yaris Sedan has proved to be firm and reliable compared to other models. 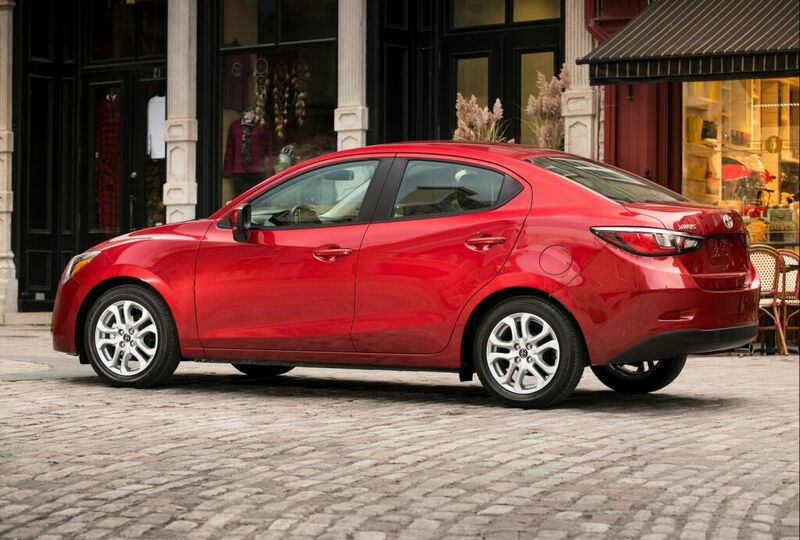 This car is an attractively styled and it’s fun to drive it.